"Jack or not, we will find this murderer. It is a stain on the honor of the police: it would be a terrible irony for the new Scotland Yard to be built on the very site of an unsolved murder…"
On October 2nd, 1888, the severed torso of a woman is found during the construction of the new Metropolitan Police headquarters near Whitehall. One week later, on October 9th, surgeon Thomas Bond releases a statement revealing that the torso matches an arm that had been discovered along the Thames in September. As the press questions the police as to whether this crime is once again the work of macabre murderer Jack the Ripper, sergeant Arthur Ferris organizes an investigative team to scour the Whitehall district for clues. Journalist Jasper T.C. Waring joins the search party and on October 18th, he and his dog lead the team to uncover a leg buried near the construction site. Despite the accumulation of clues, suspects, and tragedy, this strange crime would forever remain unsolved and go down in history as the Whitehall Mystery. 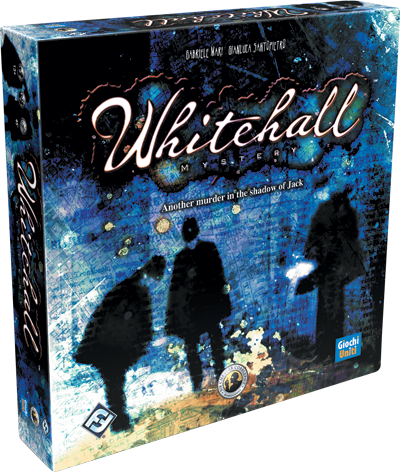 The Metropolitan Police reaches beyond its department to form a new team of experts in Whitehall Mystery, the new standalone game in the Letters from Whitechapel series. 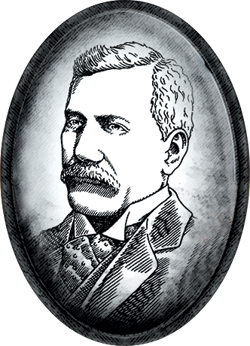 This fast-paced game draws directly from history by allowing players to portray both Jack the Ripper and the men who tracked him. 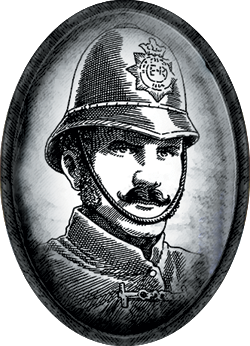 But before you decide which side of the law you favor, Fantasy Flight Games offers you a preview of the investigators of the Whitehall Mystery. Dr. Thomas Bond, represented in Whitehall Mystery as the red investigator, is the local surgeon for the Metropolitan Police. In October of 1888, he matches the torso discovered at the New Scotland Yard construction site to a right arm and shoulder that had been discovered on the muddy banks of the Thames a month earlier. When the arm was first discovered, it was assumed to be a medical student’s prank, but Bond’s analysis confirms the police’s worst fear: a killer once again stalks the streets of London. Dr. Thomas Bond’s ability allows him to use an Alley in addition to his normal movement once per game. If Bond does so, he may not look for clues or execute an arrest. However, if the Investigative team has already gathered enough evidence to deduce Jack’s whereabouts, his ability may give Investigators the boost necessary to corner Jack before he deposits more limbs. The blue investigator, sergeant Arthur Ferris, is the man placed in charge of the Whitehall investigation. Ferris cannot allow the blight of an unsolved murder to persist on the site of what is to become the New Scotland Yard and immediately sets to work gathering the police’s forces to catch the killer. As the head of A Division, Ferris is reluctant to link the Whitehall murder with those of Jack the Ripper, but both the press and the public are merciless in their hunger for answers. Once per game, Ferris can use a Boat movement in addition to a normal movement. This prevents him from looking for clues or executing an arrest, but it could place the investigator directly in Jack’s path to either block him or force him to take a longer route to his next Discovery Location. If Jack cannot reach his Discovery Location within fifteen moves due to this blockade, the Investigators win the game. Jasper T.C. 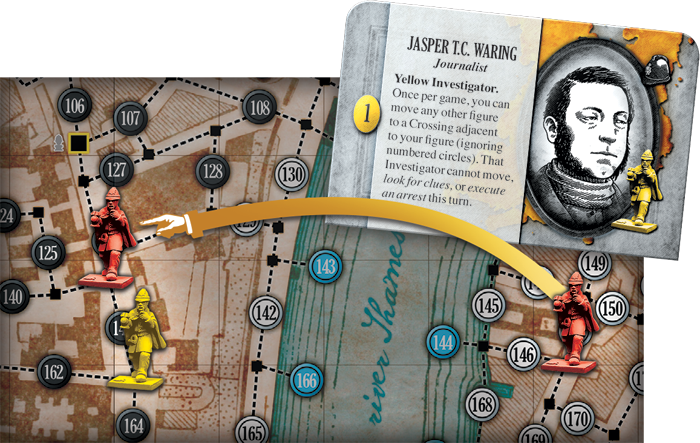 Waring is the yellow investigator in Whitehall Mystery. In the Ripper’s London, Waring works as a journalist, trying to call the public to action and aid in the police investigation. In one article, Waring famously states: “We don’t need heroes: we just need good legs and my faithful Smoker’s nose.” Obeying his own directive, he offers his services to the authorities in their search. With the permission of the police department and help from his Spitzbergen dog, Smoker, Waring finds a left leg that was severed above the knee and buried near the construction site. Among the optional rules to customize gameplay, players may choose to add Waring's dog Smoker to the Whitehall investigative team. The Spitzbergen comes with his own ability that allows his owner to either move his figure by one additional Crossing or look for clues in every adjacent numbered circle, even if he has already found a clue. If investigators think they’re on the trail, this can offer players a huge advantage. However, if the yellow investigator does not come across any additional information, they should not lose heart. Not finding a clue can still aide in the investigators' deductions of where Jack hasn't been. Jasper T.C. Waring gains power by operating collaboratively within the game, much as he did in real life. 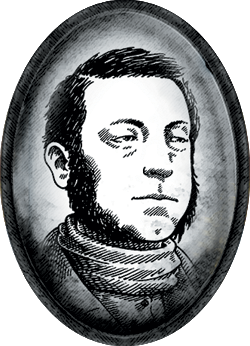 Waring’s ability allows him once per game to move any of his fellow investigators to a Crossing adjacent to himself. By doing this, the moved investigator is rendered temporarily immobile and cannot look for clues or execute an arrest until the end of the turn, but in a game where time is of the essence, the additional movement can quickly bring an investigator away from a dead end and rejoin the greater efforts. If Jack the Ripper truly has returned, investigators must combine their skills to track the murderer before his bloodlust adds another victim to his list. Bring history’s most notorious killer to justice and protect your city. Look for the investigators in Whitehall Mystery (VA102), coming to retailers in Q3 of 2017!